PlayOJO calls itself the fair casino, and it certainly looks like they’re trying their best to live up to that name. They don’t have any limits on the amount you can get from the free spins they offer, they don’t have wagering requirements and your wins will be handed to you in cash. This casino is based in Malta, being operated through a company called SkillOnNet Ltd. The local gaming license is one of the best that you can hope for, with player protection being a real preoccupation for the country’s gaming authority (MGA). They call their customers OJOers, so they’re trying to build a community around this idea. Their aim appears to be on quality, rather than quantity, but more on that below. The casino’s software comes from SkillOnNet and the games that you’re going to have access to are collected from multiple very well-known developers. They offer 500+ games in total, which have been chosen based on their quality and progressive jackpots, from the likes of Microgaming, Amaya, Merkur, NetEnt, SkillOnNet, Barcrest, WMS, GOG, NYX, Yggdrasil Gaming, Play’n GO, Big Time Gaming, Bally, Lightning Box, SG Interactive and RT Gaming. One thing to appreciate here, for most people at least, is that there was an actual selection done on the slot machines which were added. Rather than have access to every slot machine under the sun, they’ve chosen only the best ones. It’s a more limited selection, but the average quality is higher. There will be a big focus on Slots, but additional categories that you get include Roulette, Blackjack, Live Casino, Cards and Jackpots. The titles are self-explanatory but expect for the majority of your options to come via the Slots page. The others will often mix in the Live Dealer options. Speaking of Live Dealer content, it will come from NetEnt, Evolution Gaming and Extreme Live Gaming, so the list is more diverse than at most casinos that I’ve seen so far. 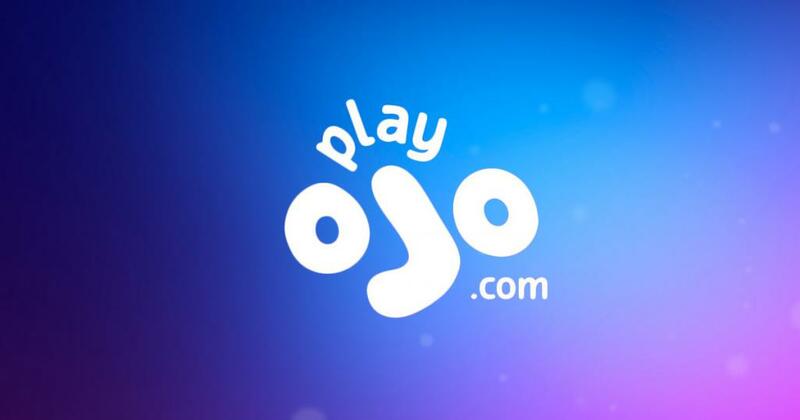 Live dealer content is certainly one of the big benefits of trying out PlayOJO, along with their slots. The casino has been independently tested, by iTech Labs, so their RNG is legit and you shouldn’t have any negative surprises on that front. You are playing on a fully secured site, which uses SSL encryption between your browser and the server. Another element that should comfort you is the fact that their gaming license comes from a reputable jurisdiction, that of Malta. There are some countries out there that don’t care much about players, but Malta is not one of them. One of the major things to appreciate about PlayOJO is the way they try to do things, and the promotions they’ve created for players are a great example of that. As you start playing with the casino, and you’re making your initial deposit, you will already find out that they’re different. You will receive 1 free spin, in exchange for every £1 that is deposited. There is a limit of course, of 50 free spins, so once you get past £50 you stop getting benefits. That type of bonus is not very unusual, but what follows is. The casino promises to pay your winnings cash, everything that you win (no limit) and without any wagering requirements in place. Basically, anything that you win in the free spins, you get to keep. You’ve signed-up, made your first deposit and took advantage of the free spins offer. You might be wondering what’s next. That’s where the Kickers come in. These are their daily promotions, a new one being offered to players for the next 24 hours. Come back each day and find out what kind of promo they have. OJO’s Reel Spinoffs are also in the offer, these being live tournaments which occur on a daily basis, with thousands of free spins that can be won in them. Winners of these free spins once again get to take home everything they get in them, no funny business. As for the way to get some help, should you need it, PlayOJO’s customer support is available via live chat (18 hours a day), phone (non-stop) or email. Det är en unik spelsajt med ett brett urval av välutbetalda spel med mega jackpottar av ett värde upp till miljarders kronor. På LuckyNiki Casino kretsar temat kring en söt anime-tjej som kallar sig Niki. Hon är casinots maskot och kallar sig även för "Turgudinnan". Förstklassig användbarhet, support i världsklass, snabba utbetalningar, spännande uppdrag, IRL events och bonusar på 800 av de ledande spelen. This casino site offers players an innovative adventure online matched with great design, which made it very famous in the countries of Norway, Finland and Sweden. Det åländska spelbolaget med över ett halvt sekel bakom sig. Paf vet vad som krävs för att lyckas och att bli älskad av sina spelare. Walk through superb and colorful animations while enjoying games loaded with amazing rewards and perks at Thrills Casino.